Shiwang`andu council has trained over 40 fish farmers in fish conservation in Chief Kabanda`s Chiefdom in Shiwang`andu district with CDF funding. 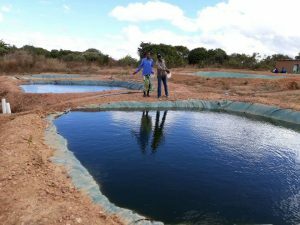 Council public relation officer Mutemwa Sakala said the local authority in partnership with the Ministry of Livestock and Fisheries in the district had trained fish farmers from Kabanda and Ilondola farming blocks. He said with the skills that farmers had acquired, they would increase food security and income at household level, create employment, reduce malnutrition levels in their communities and improve the living standards for their communities.